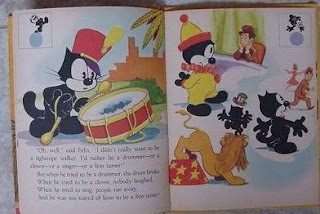 This was my younger brother's book. 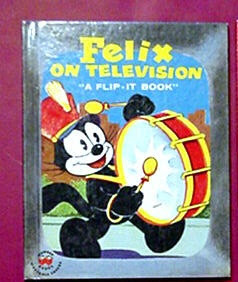 What made it interesting (other than the story) was that it was a flip-it book. There was a drawing of Felix on a ball in the corner so when you flipped through the pages quickly there was an animation of him balancing on the ball. Posted by Karen at 6:24 p.m.